This is a LARGE and wrist sprawling 36x40mm. 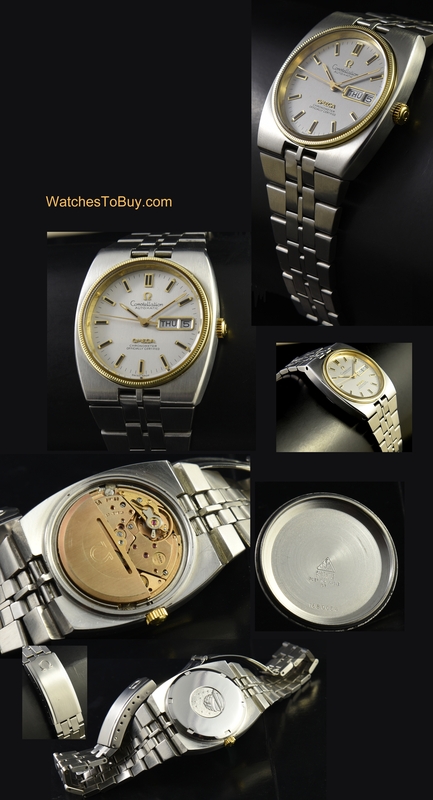 1972 OMEGA CONSTELLATION having a solid 14k. 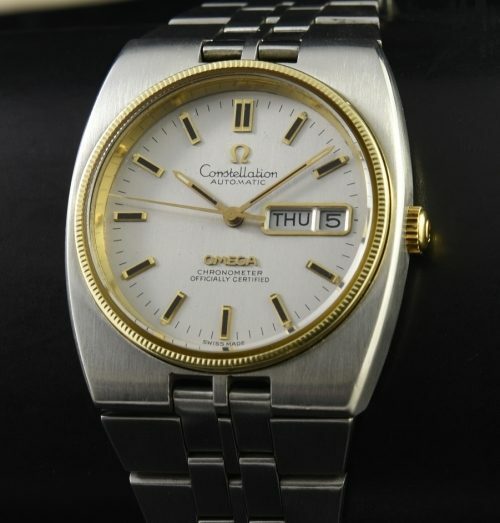 gold bezel and gold OMEGA crown along with the original full-length OMEGA steel bracelet. The silver dial with gold accents looks excellent. The very fine automatic winding OMEGA Constellation movement was just cleaned and accurate. It is uncommon to find these watches in the two-tone version.